We offer half or full days of saltwater fishing. 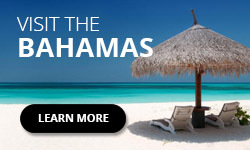 Enjoy fishing charters to the Bahamas and the Florida Keys. 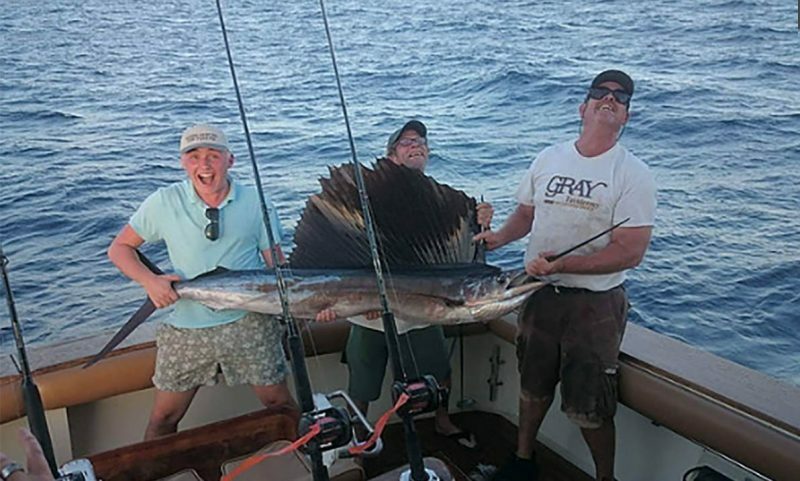 We fish for Sailfish, Mahi-Mahi, Tuna, Wahoo, Shark, Snapper, and all sorts of creatures that swim in the waters of South Florida. The Full Circle offers one of the most experienced, knowledge, professional and friendly fishing crew in Ft. Lauderdale, with over 60 years of combined experience fishing the local waters off South Florda and the Bahamas. 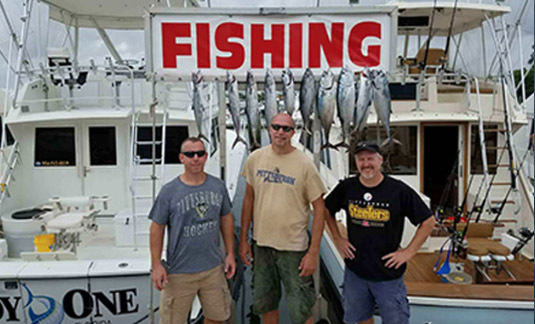 FULL CIRCLE SPORT FISHING is the company to call when you want deep sea fishing fun. Pure adrenaline pumping excitement is yours when you fish with us. Check out our Gallery for just a small glimpse of the memories that await. Crystal blue skies and tropical warm water will help make your charter with FULL CIRCLE SPORT FISHING one of your vacations most memorable experiences. 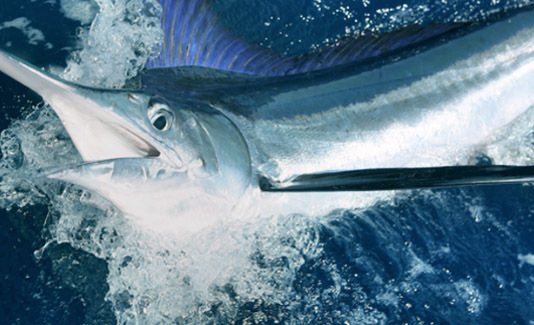 Fish for any number of hard fighting sport fish in waters off Florida and the Bahamas. We offer half-day or full-day salt water fishing charters as well as other types of excursions aboard our sleek, modern vessel equipped with the latest electronics and safety equipment. The cabin is equipped with HDTV and air conditioning for your comfort. All levels of experience are welcome aboard the Full Circle from the novice angler to the most experienced old salt. 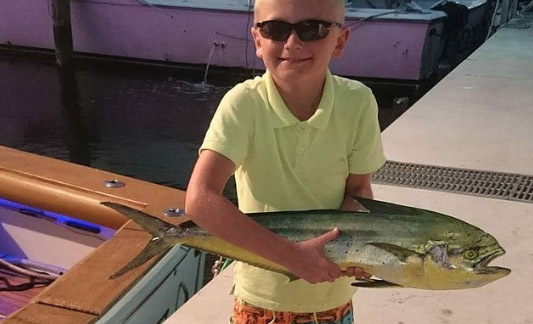 Children of all ages are always welcome aboard the Full Circle, we provide US Coast Guard approved child safety vests and are the only charter boat in Ft. Lauderdale with Direct TV so the kids can be entertained in between the fishing action. My husband and I went out with the awesome full circle crew a few weeks ago. 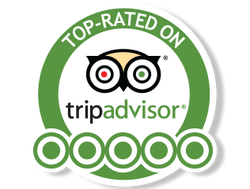 They are awesome fun and really experienced. The best! We had an amazing morning on this great boat with these guys and caught lots of fish including a gorgeous sail fish (mounting!) and barracuda, tuna, king fish etc! Can't wait to go out again with these guys when we are back next year! Thanks again Tim, JT and Mikey!